This 2020 census business is getting messy—and tricky. Not only are at least a dozen states and the NAACP suing the Trump administration over it, but for the very first time, the upcoming count will also ask those who identify as “black” or “white” to further expound on their specific country of origin or ethnicity. 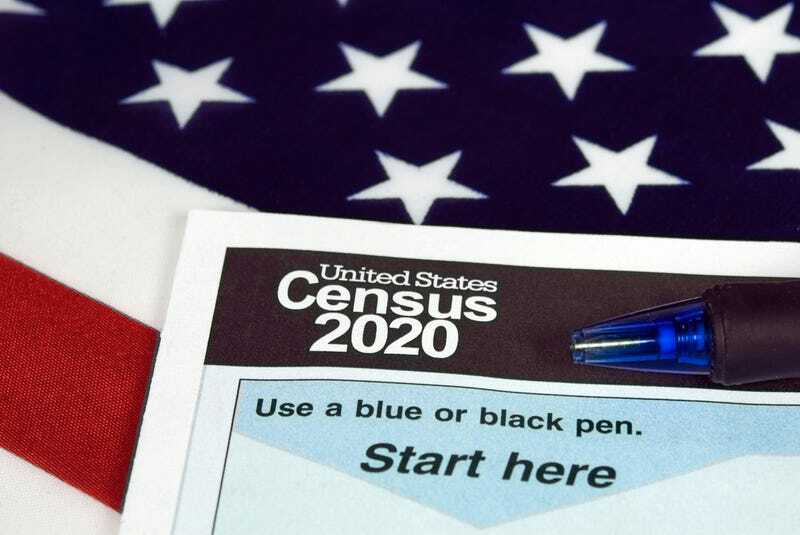 In a last-minute move, the government also announced Monday that the 2020 census would include a question asking if respondents are U.S. citizens (the deadline for final census questions is April 1). At least 12 states have responded by suing the government or announcing that they plan to sue, saying that the move is unconstitutional (the Constitution notes that every resident of the United States is to be counted in the decennial survey, regardless of citizenship). Many critics decry the move as yet another way to intimidate those who are in the country without documentation as well as to depress the numbers of those in communities who would otherwise receive federal aid. The census numbers are used not only to determine how political districts are drawn but also to determine how much aid goes to communities based on population. The Trump Justice Department in December said that it was adding the question about citizenship to prevent voter fraud, an imaginary haint that Donald Trump has trotted out since he lost the popular vote to Hillary Clinton by 2.8 million votes in November. Many critics see the move as shrewd, hard-core, racist politicking at its best. That is, the administration is betting that so many folks will be so scared to give their citizenship status to the government (and given what has been happening with U.S. Immigration and Customs Enforcement, they should be) that browner, poorer, Democratic-leaning, immigrant-rich communities will miss out on their fair distribution of badly needed federal funding as the census’s accuracy is undermined. This undercount would also be a boon for Republicans in advance of the state and national redistricting in 2021. In addition to the states’ suit over the citizenship question, the NAACP announced Wednesday that it, too, has filed a lawsuit against the administration and U.S. Census Bureau to force a more accurate count of minority populations such as those residing in Prince George’s County, Md., which had one of the highest undercounts nationwide in the last census. A 2012 government study found that the 2010 census resulted in an undercount of 2.1 percent of African Americans and 1.5 percent of Hispanic Americans—enough to make up two congressional districts—and one can only assume that the 2020 count will be worse with the citizenship question. On top of that hot mess of intimidation and politricks, the 2020 census for the first time will delve deeper into the specific origins of “Black, Not Hispanic” and “White, Not Hispanic.” In previous censuses, Asians, Native Americans and Latinos were able to provide specific ethnicities or tribes. The “white” ethnic designation is interesting, too. For those who usually check that box, the census gives examples of what one may write, and those actually include those born on the continent of Africa, including “Egyptian,” which is laughable, if not a boost for overall white numbers in the United States. Again, the cynical among us see a link between this move and a secret Ancestry.com or 23andMe connection with the census folks, but others view it as a tool to foster further division between African Americans, Africans who were born on or have a direct connection to the continent, and blacks who are from the Caribbean. To many folks of color, two words apply to this census: Issa trap! And whether we participate or not, if Trump and ’em get their way, we lose. But because this is essentially self-reported, I’m hoping that African Americans—even those who have taken a DNA test—will just write in “Wakandan” and call it a day. Resist. All days. Always.